Hi all, it has been a while since our last posts. The committee has been working diligently behind the scenes to achieve better outcomes than have been proposed. Unfortunately our requests for information from Council are being delayed but the outcomes for both the Pacific Road easement and the enormous amount of earthworks that have occurred in the reserve are on going. 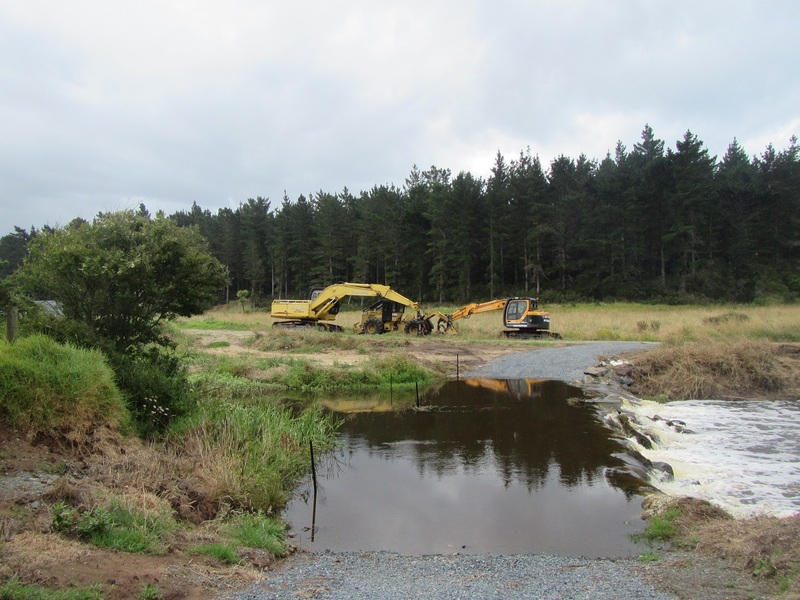 What we can tell you that the developers have been illegally building up what was a small weir at the edge of the reserve (still in the reserve) across Te Arai Stream into what can only be described as a dam. This action started late last week illegally. and has entailed the mining of sand from the reserve to repair and strengthen the weir after another blowout. The purpose of this weir is for the developers to retain stream water to pump for use as irrigation on private land. increase of flash flooding and catastrophic rupturing of the ‘dam’ causing damage down stream. The weir in 2014 was a small line of rocks that were awash at high tide. 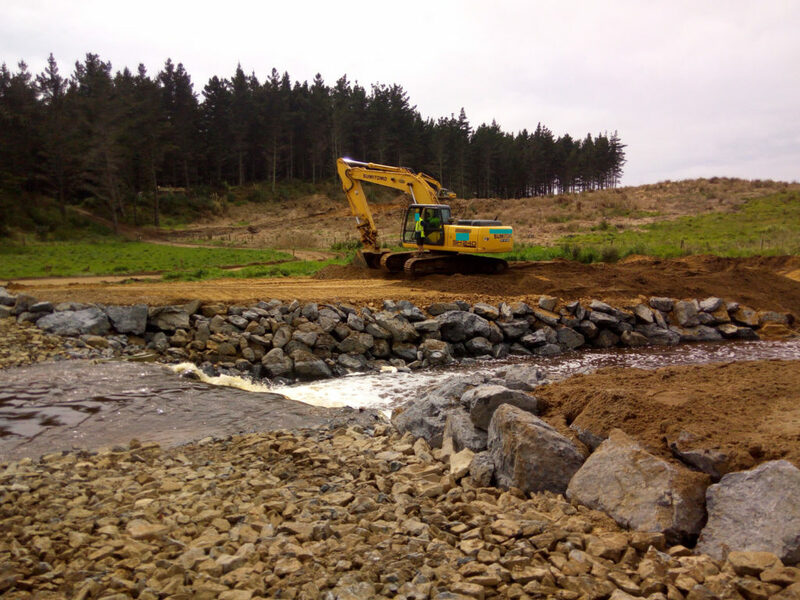 There has been ongoing work to build up this weir to increase its holding capacity for the developers pump, with washouts continuing to happen due to the unsuitability of that site for such a construction. Today is a very different story. It has been narrowed which creates a concentrated, faster flow of water. Cuts off natural spawning routes and in times of drought allows for a greater volume of water to sit, increasing the likelihood of stagnation and silting of the stream head. 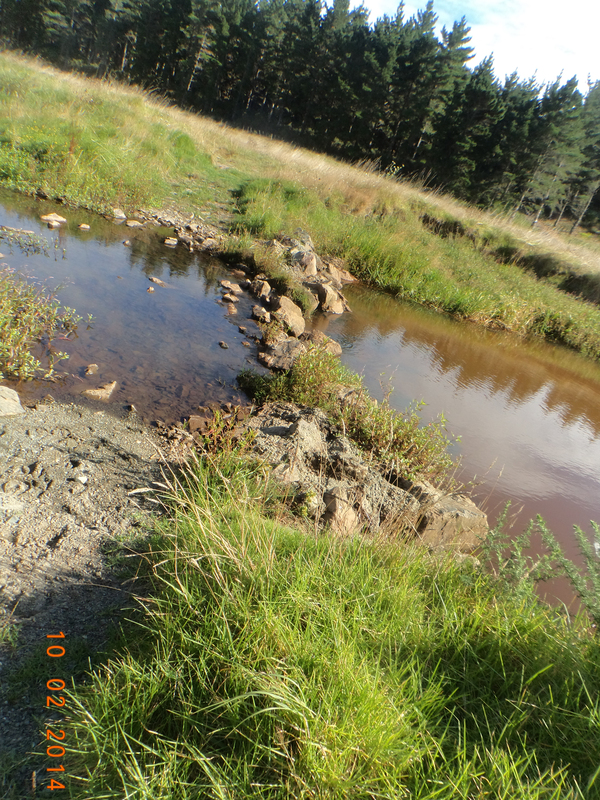 Before 2014 the small weir was never an issue as it allowed for the transit of fish and the increased flow of water. The developers are trying to tame nature yet again. This time on public land and in an area of importance to the natural ecology.